From the North and Northwest: Take I-83 South (Jones Falls Expressway) to Exit 5, Maryland Avenue. Make a left at the first light (Maryland Ave), take the next right onto Preston St. until you reach Cathedral St. Once you hit the intersection of Preston and Cathedral, the Meyerhoff will be to your left. The Cathedral Parking Garage is located to your right on Cathedral St. For more information on parking garages in the area, see below under Parking. Via Interstate 95: Follow I-95 North to Exit 53 (I-395), Martin Luther King Jr. Blvd. Follow Martin Luther King Jr. Blvd. about 1 mile until you hit a fork in the road. Make a right at the fork onto Chase St. Chase St. will turn into Cathedral St. The Meyerhoff will be on your left, and the parking garage will be up one more block on your right. For more information on parking garages in the area, please see below under Parking. Via 295 Baltimore Washington Parkway: Follow 295 North all the way through, which will let you off on Russell St. in downtown Baltimore. Turn right onto W. Pratt St, then left onto Eutaw St. Continue down Eutaw St. and make a right on W. Centre St, then a left onto Park Ave which will turn into Cathedral St. The Meyerhoff will be on your left, and the parking garage will be up one more block North to your right. For more information on parking garages in the area please see below under Parking. Open during all Meyerhoff Symphony Hall events. Conveniently located at the northeast corner of Preston and Cathedral opposite the Meyerhoff; enter from Cathedral Street. $12 per car, cash only at gate. Open during all Meyerhoff Symphony Hall events. Conveniently located adjacent to the Meyerhoff; enter from Park Avenue. $12 per car, cash only at gate. We recommend parking in the Symphony Center garage. The Charm City Circulator is a free shuttle that travels three routes in Baltimore City. The separate routes include the Green Route (City Hall to Fells Point to Johns Hopkins), the Purple Route (Penn Station to Federal Hill), and the Orange Route (Hollins Market to Harbor East). The shuttle is intended to reduce congestion and greenhouse gas pollution by offering a convenient, reliable and eco-friendly form of public transportation. 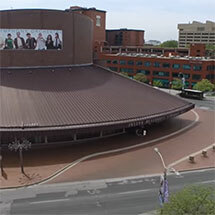 Joseph Meyerhoff Symphony Hall is easily accessible from local routes 3 & 11. Exit the Light Rail at the Cultural Center stop. The hall is directly across Park Avenue to the south. Light Rail hours are Monday-Friday 6:00 am to 12:00 am; Saturday 11:00 am to 12:00 am; and Sunday 11:00 am to 7:00 pm. Exit the subway at State Center Station. Walk one block east on Preston Street to Howard Street. Make a left on Howard then turn right on Dolphin heading east. Meyerhoff is on the right. Metro hours are Monday–Friday: 5 am to midnight; Saturday, Sunday & Holidays: 6 am to midnight. 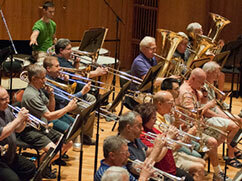 For MARC riders, Joseph Meyerhoff Symphony Hall is just a short walk or cab ride from Baltimore Penn Station. After exiting the train, follow the signs in the station to Charles Street and walk south. Make a right onto Preston Street (the first street past the light at Mt. Royal Avenue). Follow Preston Street three blocks to Joseph Meyerhoff Symphony Hall, on the corner of Preston and Cathedral Streets. For fares, schedules, maps and other transit information, please visit http://www.mtamaryland.com or call 410.539.5000. Visit our concession stands before the concert and pre-order your drink so that it will be waiting for you at intermission. Bring your BSO ticket to the following restaurants on the day of your concert, and enjoy these dining deals! The ticket office is open 60 minutes prior to each performance and through intermission. Ticket Office Parking: Free short-term parking is available in the Meyerhoff driveway at the Ticket Office entrance for purchasing tickets. Click here to view a Meyerhoff seating chart and plan your next visit to the Joseph Meyerhoff Symphony Hall. FOR ORCHESTRA AND GRAND TIER PATRONS: We are pleased to offer a new permanent hearing loop system for patrons with hearing loss. To take advantage of this system, patrons who have a telecoil in their hearing aid or cochlear implant may switch to the “T” setting. We are deeply grateful to The Harvey M. Meyerhoff Fund for their leadership gift which has made this hearing loop system possible. In addition, we thank several other patrons for their support. Weaving a literary thread through every inch of its storied West Franklin Street address, Hotel Indigo Baltimore pairs its turn-of-the-century history as the city’s first YMCA with modern-day amenities that delight its on-the-go guests. 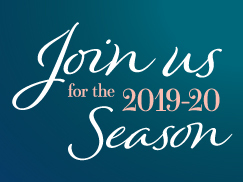 From complimentary Wine Wednesday receptions to free parking for anybody attending Baltimore Symphony Orchestra events, Hotel Indigo Baltimore's 162 guest rooms and suites introduce fresh, approachable style to this classic seaport city. The Ivy Hotel, a Relais & Chateaux hotel, is a luxury boutique hotel in the heart of the historic Mount Vernon district of Baltimore, less than a half mile from the Meyehoff Symphony Hall. The hotel features eighteen beautiful and individually decorated guest rooms and suites, charming social spaces, an intimate luxury spa and Magdalena, one of Baltimore’s most outstanding restaurants. The Ivy distinguishes itself among other luxury urban hotels around the world as being the “most highly inclusive city hotel.” In addition to providing our hotel guests who attend the Baltimore Symphony with roundtrip transportation to and from the Meyerhoff Symphony Hall from the hotel, we are pleased to include the following in your room rate for two: Champagne upon arrival; full, made-to-order breakfast each morning; English-style afternoon tea each afternoon in the Tea Room; a stocked Barmoir, our version of a mini-bar, with snacks, alcoholic and non-alcoholic beverages, replenished each day; evening cocktails in the Mansion Bar; midnight snacks; wireless high-speed internet; valet parking; private car service within a 3-mile radius of the hotel; housekeeping service each day; turndown service each evening and gratuities. Escape the ordinary and immerse yourself in first-class service and accommodations in our brand new boutique hotel located in the heart of Baltimore. Rich colors and a trendy atmosphere set the tone for a luxurious experience. Our charming and historic hotel offers business and leisure guests the ultimate in comfort and style. We invite you to reacquaint yourself with dedicated service on an intimate scale, recapture the romance of travel and delight in the art of individuality. Extended stay lodging aficionados will be duly impressed with the brand new Home2 Suites in Baltimore, Maryland. Our innovative downtown hotel welcomes business, government, and leisure travelers with friendly service, quality amenities, and spacious studio suites featuring king-size beds, sofa sleepers and kitchens. Plus, we boast a convenient location near Inner Harbor that delivers close proximity to an array of specialty shops, appetizing restaurants, and unique attractions as well as universities, major corporations and medical centers. Ideally located in the heart of vibrant downtown Baltimore, directly across from the 1st Mariner Arena and only 2.5 blocks from the Baltimore Convention Center. The historic Inner Harbor is located just six blocks away, providing unique shopping, amazing dining and a variety of entertainment right on the picturesque waterfront. Enjoy spacious guest rooms and suites, state-of-the-art fitness center, seasonal outdoor pool and more. Genuine hospitality. Choose our Inner Harbor Baltimore hotel and discover why Embassy Suites Baltimore Inner Harbor has been regarded as a Charm City legend for more than two decades. Offering a distinct combination of comfort and convenience, with easy access to the city's best points of interest, our Baltimore hotel is certain to make your Maryland visit a memorable one. When you stay at our all-suite Embassy Suites Baltimore Inner Harbor hotel, you'll enjoy personalized service, thoughtful amenities and comfortably elegant guest rooms and suites. A boutique hotel in historic downtown Baltimore! Rich with history and as bold in spirit as Charm City itself, Hotel Revival is Baltimore’s only boutique art hotel. Nestled in the heart of Baltimore’s historic Mount Vernon neighborhood and less than a mile from Penn Station, the 107-room, 14-story boutique hotel serves as a community gathering place, and contributes to the renewal of the area through a vibrant guest experience, thoughtful design, new restaurants and signature bars. With interior design by SLDesign, the hotel features distinctive art and stunning monument and city views. From all-local craft beer to a local art program curated by Paradigm Gallery + Studio, Hotel Revival embraces and embodies all that is Baltimore. The Lord Baltimore Hotel, the iconic grand dame of Baltimore, has been brought back to its full grandeur and glory. Rubell Hotels has reimagined this classic landmark for a new generation of travelers. The Lord Baltimore was originally built in 1928 by architect William Lee Stoddart. It is listed on the National Register of Historic Places and was visited by Martin Luther King, Jr. among a host of other historic luminaries. It is a 23-story, 440-room property in the heart of downtown Baltimore, Maryland with 20,000 square-feet of ballroom and meeting space and the historic Calvert Ballroom, which has hosted over 80 years of Baltimore society events. Baltimore is one of the most influential cities in America. It is the home of the Ravens, the Orioles, crab cakes and, of course, the Baltimore Symphony Orchestra. With such a rich and diverse history, it's no wonder that the place nicknamed "Charm City" gets so many visitors each year. The American Visionary Art Museum (AVAM) is located in the Federal Hill neighborhood of Baltimore. It has 55,000 square feet of exhibit space and a permanent collection of 4,000 pieces, including works by visionary artists Ho Baron, Nek Chand, Ted Gordon, Clyde Jones, Leo Sewell, Vollis Simpson and Ben Wilson. It also includes over 40 pieces of work from the Cabaret Mechanical Theatre of London. Located among Baltimore City's historic southwest neighborhoods, at the original site of the historic Mt. Clare Shops, the B&O Railroad Museum is recognized universally as the birthplace of American railroading. The Baltimore & Ohio Railroad Museum possesses the oldest, most historic and most comprehensive American railroad collections in the world. The Museum's roster of locomotives and rolling stock represent the first, last, best or only of their kind in existence today. Art has always had a strong hold on the city. The Baltimore Museum of Art houses work by some of the world's most honored artists, including Picasso, van Gogh and Renoir. With nearly 100,000 works, the museum promises to please art lovers of any age, skill or taste. It is couched between Charles Village and Remington, two northern Baltimore neighborhoods. The Baltimore Museum of Industry, located in Baltimore's Inner Harbor, is home to over 100,000 objects that document the often overlooked people in history-the workers, small business people and citizens who built America. The collections are reminders of Baltimore's great history, explaining how the city developed from a small trading post to a thriving, industrial center of manufacturing and commerce in a few decades. Perhaps nothing is more revered in Baltimore than its baseball team, the Orioles. The team is more than 100 years old, and is one of the eight original charter franchises in the American League. Camden Yards, one of the “new old stadiums,” is located just a few blocks from downtown Baltimore, giving it easy access to visitors and residents alike. One of the world's most popular pieces of music was created at this location. In 1814, Francis Scott Key, a professional lawyer and amateur poet, wrote what would become some of the most recognizable lyrics in the history of music: The Star-Spangled Banner. Today's wannabe tunesmiths can walk the grounds, summoning up the spirits of those who laid down more than just their quills. This open-air venue plays host to jazz, funk and blues festivals, songwriting recitals by professional and upstart musicians, and performance art from magicians and dancers. As great as the acts are that step on stage, the price tag – free – is even more impressive. The Maryland Science Center, located in Baltimore's Inner Harbor, features three levels of exhibits, a planetarium, an observatory and an IMAX theater. The National Aquarium, with over 1 million visitors a year, proves Baltimore is one of the great port towns of the world. This waterlife zoo is home to over 16,000 specimens, such as the bottlenose dolphin, roughtail stingray and bonnethead shark. Reasonable prices make it one of the best things to do in Baltimore. Ranked among the top five children's museums in the United States, Port Discovery Children's Museum offers three floors of interactive, educational exhibits and ever-changing programs for children ages birth through 10. A major Inner Harbor attraction, the Reginald F. Lewis Museum is the largest African American museum on the East Coast. It highlights the history and accomplishments of Maryland's African American community, featuring exhibitions and resource centers. Sports Legends Museum at Camden Yards opened to the public on May 14, 2005. The Museum occupies the basement and first floor of Camden Station with 22,000 square feet of artifacts and interactive exhibits, transforming the Station into one of the most spectacular sports museums in America. Top of the World is the perfect starting point for any visit to the city and provides a breathtaking view of Baltimore 's skyline, harbor and beyond. Located on the 27 th floor of the World Trade Center, this city attraction featuring a 360-degree panoramic view of Baltimore has stationed binoculars and photo-map guides to help guests learn about local attractions, hotels and neighborhoods. What should I wear? We’ll start off by saying, you can wear anything (almost) that you like when you come to a symphony concert. For those who enjoy getting spiffed up, a symphony concert is a great occasion to feel a bit fancy. However, if you feel more comfortable on the casual side, you won’t feel out of place. Most concert-goers dress in a range from business casual to cocktail attire. Formal dress such as evening gowns and tuxedos are generally only worn to special events like our annual Gala concert. What is classical music? For general purposes, classical music is typically used to describe art music produced or rooted in the traditions of Western music, including both liturgical (religious) and secular music from roughly the 11th century to the present day. Sub-categories of classical music include the Medieval, Renaissance, Baroque, Classical, Romantic and Modern eras. The term ‘classical music’ actually did not appear until the early 19th century. For more information on the background of the term classical music, check out the BSO story "Do we need a new word for classical music". How early should I arrive? Doors to the lobby of the Meyerhoff generally open 75 minutes prior to the concert start time. Doors to the lobby of Strathmore generally open one hour prior to the concert start time. You can arrive early and enjoy a drink or small bite to eat, and relax in our lobby prior to the show. Or, you can also head to one of many exciting restaurants, cafes or bars in the area. We recommend arriving no later than 20 minutes before a show start time to ensure getting to your seat before the downbeat. Once the first piece begins, you will need to wait until a break to be let in so we recommend not cutting it too close! For a listing of places to eat and drink in the area, visit here! What if I arrive late? 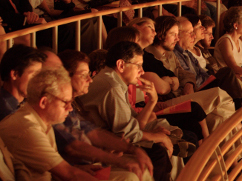 In order not to disturb other audience members who have already begun listening to the music, late seating breaks will take place after the first piece on the program or at intermission. If you arrive after the concert begins, you will be asked to wait outside of the hall doors in the lobby until a break in the program occurs. Can I use my cell phone? For the consideration of the musicians and your fellow audience members, please turn off your phone or other mobile devices during the performance. With all of modern life’s constant exposure to media and technology, think of this as a fun opportunity to shut off your phone for an hour at a time and live in the moment. Photography and video are not allowed during a performance, but taking pictures before and after the performance is strongly encouraged! Do I need to know any information about the music or composers before coming? You do not need to know any background information on the performers, composers or pieces ahead of time. Once you arrive, you will be given a program which gives notes on the elements of the concert. That being said, many people find that they are able to enjoy a performance in a deeper way with greater background knowledge on the program. 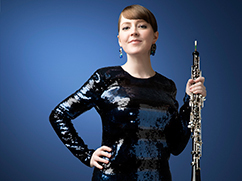 If you would like to know more about a piece before attending a concert, you can check out the program notes in the current issue of Overture Magazine. For most classical subscription concerts, the BSO offers short podcasts previewing the music and composers for each performance. You can listen to these at BSOmusic.org/Podcasts. When should I clap? This can be a bit of a tricky question. On the one hand, we want to encourage everyone to show their enjoyment and appreciation whenever the moment strikes. On the other hand, there are certain pieces of music that are meant to be uninterrupted to display the nuance and full-effect of the music. It is traditional to hold applause until the end of each piece on the program. This can be a bit confusing, because some pieces contain several smaller sections, called movements, which often have a pause between them, sometimes sounding like the end of the piece. Our advice is, if you are not sure when to clap, don’t be a hero…read the room and follow the crowd to avoid any awkward applause moments. How long is the concert? Traditional performances last around 2 hours including a 15 minute intermission about halfway through. 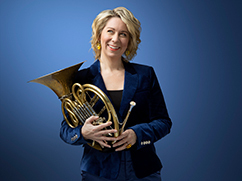 The BSO also offers an Off the Cuff series, which offers a more informal and paired down version of the traditional concert. Off the Cuff performances usually last around 1 hour and 15 minutes. What is a concertmaster? In an orchestra, the concertmaster is the leader of the first violin section. There are other section leaders within the various string sections, but they are all lead by the concertmaster. Any violin solo in an orchestral work is played by the concertmaster (except in the case of a concerto, in which case a guest soloist usually plays). The concertmaster sits to the conductor’s left, closest to the audience, in what is called the “first chair” or “first stand.” He or she makes decisions regarding bowing and other technical details of violin playing for the violins, and sometimes all of the string players. The concertmaster leads the orchestra in tuning before concerts and rehearsals. What is the role of the conductor? In the words of Marin Alsop: "I think that maybe people don’t really understand the role of the conductor. What does a conductor really do? It’s a little bit like being a director. What I do is study the creator’s words or the composer’s notes and I try to become the voice of the creator. Then I bring his or her work to life through the musicians. The analogy is sort of like actors bringing words to life. That’s really the basic role of the conductor: to be the messenger and the advocate for the composer, and to try to get that narrative across to the audience. "The goal for me is to always try to inspire and encourage people, and create the environment for musicians to be the best they can be. So it’s sort of like part coach, part captain. A lot of it is of course technical, because I’m speaking to them through gesture. But it’s a far more complex role than most people would just see by sitting there watching someone move their arms." 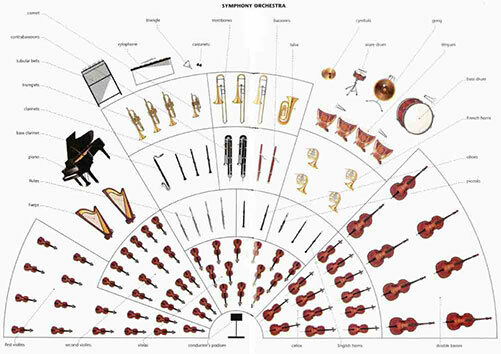 How is the orchestra set-up?